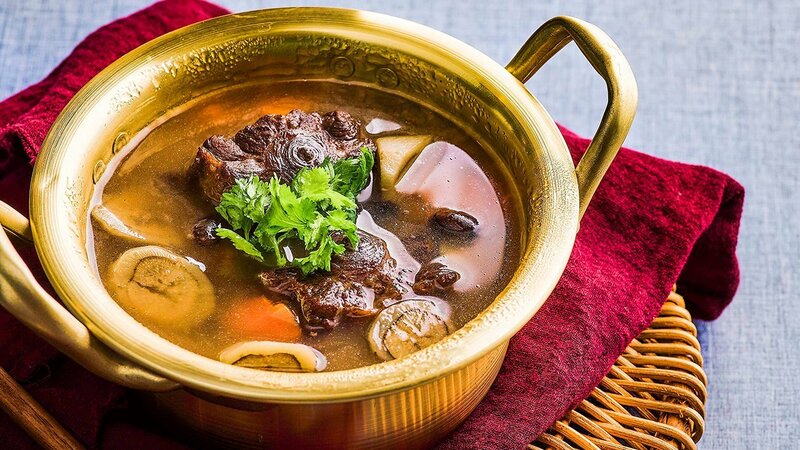 While popularly known as a Western dish, Chinese oxtail soups are also incredibly delicious. And when cooked to perfection, the meat simply glides off the bone. The soup can be served on its own, or with rice. Heat up corn oil in sauce pan, grill oxtail until fragrant and brown. Set aside for later use. Pre-heat steamer, add in all ingredients into soup pot. Steam for 1 hour 30 minutes. Add in seasoning and steam for another 30 minutes. Transfer to soup bowl and garish with coriander leaf.